Snoopy was rescued from the bitter cold in December 2016 by a friend of a supporter and unfortunately, they didn’t have the means to keep him. 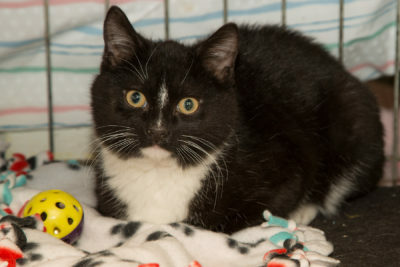 Like most kittens, Snoopy is very inquisitive and loves to play. 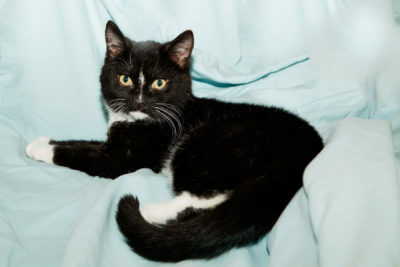 He’s a super cute, Tuxedo kitten who’s up for any “Snoopy” antics you can think of!